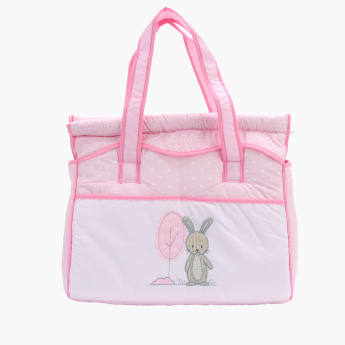 Juniors Embroidered Diaper Bag with Zip Closure | Multicolour | Ensure your all baby neccessary items are along with you whenever and where-ever you require. 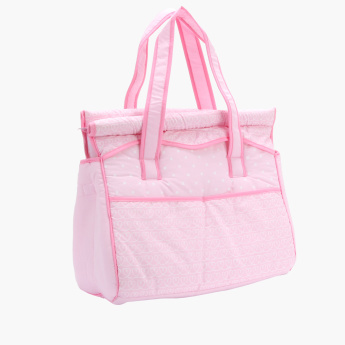 Make sure you conveniently carry your kid's diapers, bottles, food, and other important essentials in this diaper bag. Attractive to look at, it has an embroidered design and the handles make it easy to hold. 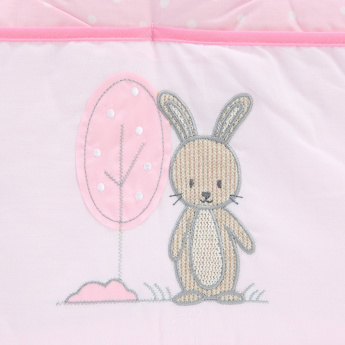 Feature 1 : Ensure your all baby neccessary items are along with you whenever and where-ever you require. Feature 3 : Made in spain. High quality Cotton fabric. Feature 2 : soft and light weight.Ideal for travelling.